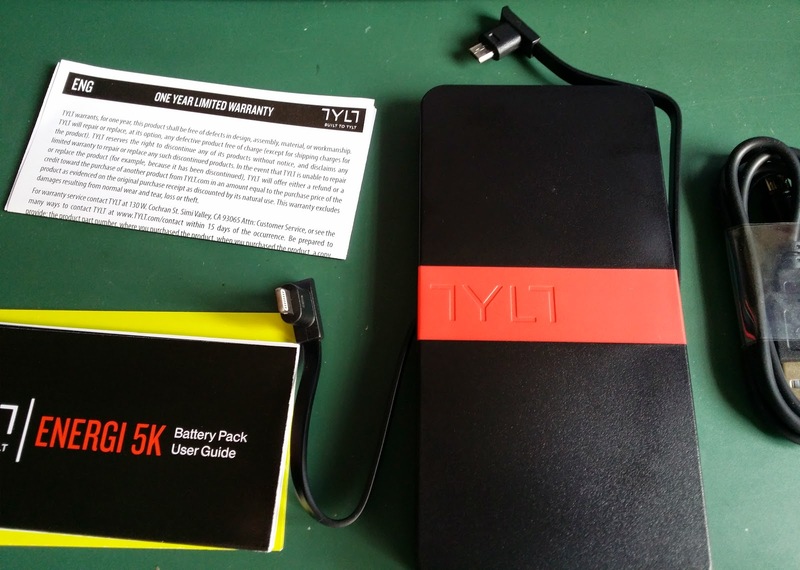 I bought for The Wife the Tylt Energi 5K+ Battery Pack at the recent IT Show. It costs SGD99 but during the IT Show, its costs SGD79 at Epicentre booth. 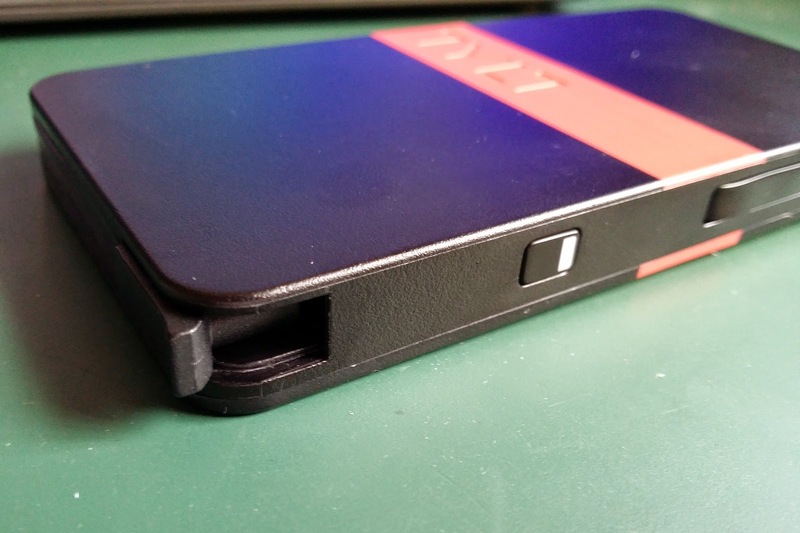 The Wife has been using the Jumbox Jelly Power 5200 Powerbank for quite a while. It has served her well. 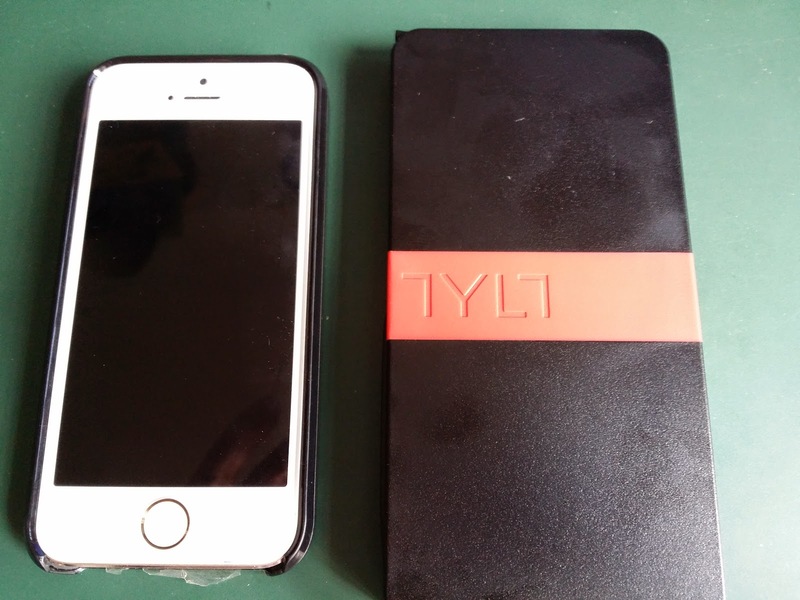 But she would need to bring along 2 cables in a pouch with the battery inside, one for her micro-USB Samsung phone and the other is the lightning cable for her office iPhone 5. I am worried that she might misplaced the cables on one of her trips. 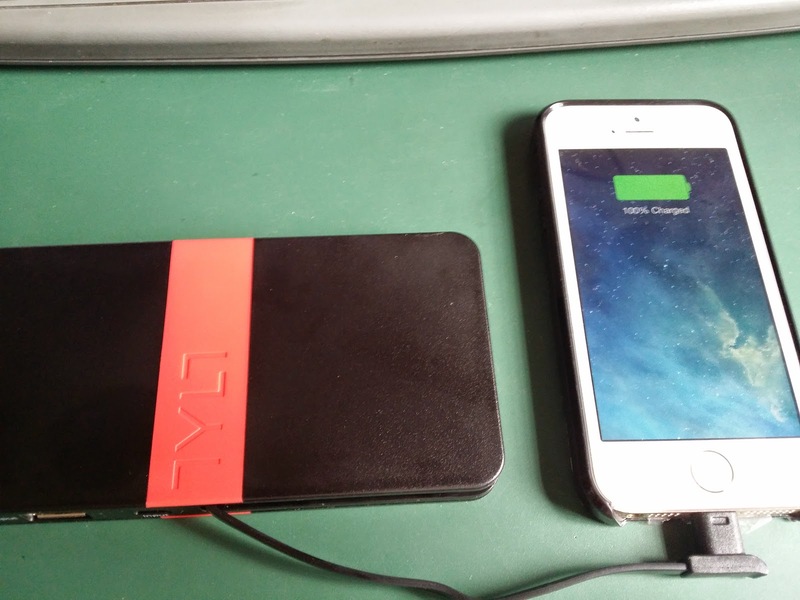 That is the reason I bought the Tylt Energi 5K battery pack. 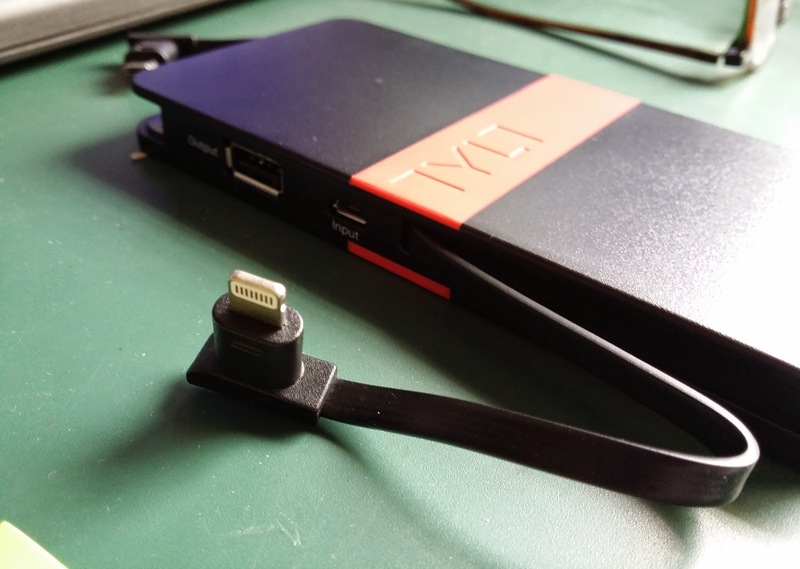 It comes with two integrated cables, lightning and micro-USB, saving The Wife from bringing additional cables. It is slim which fits into her handbag and not too heavy. 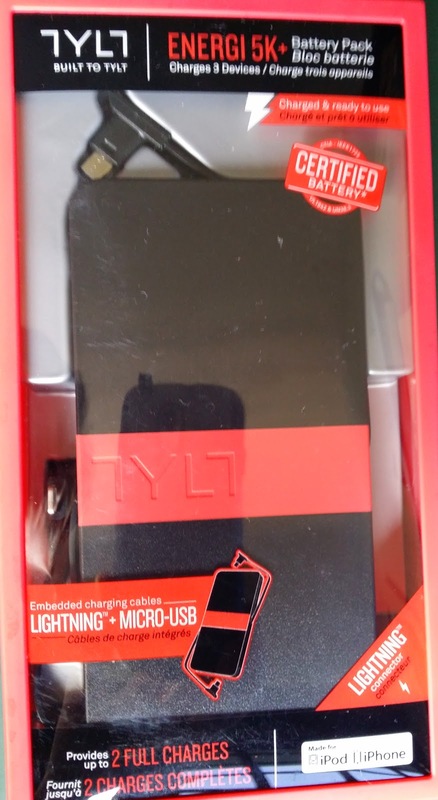 The battery pack with contents. 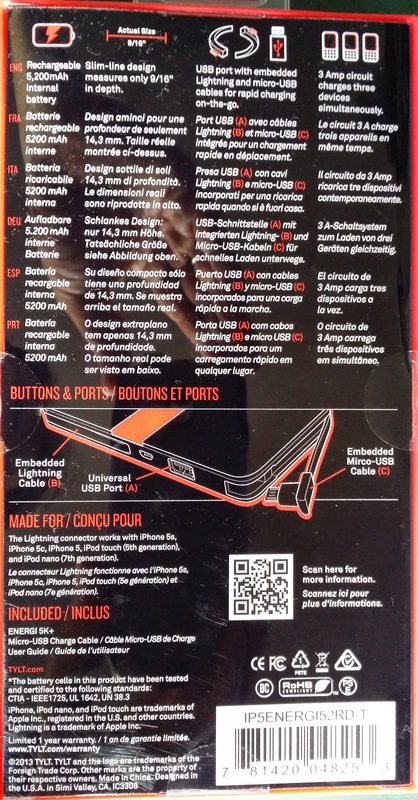 With the attached lightning cable. 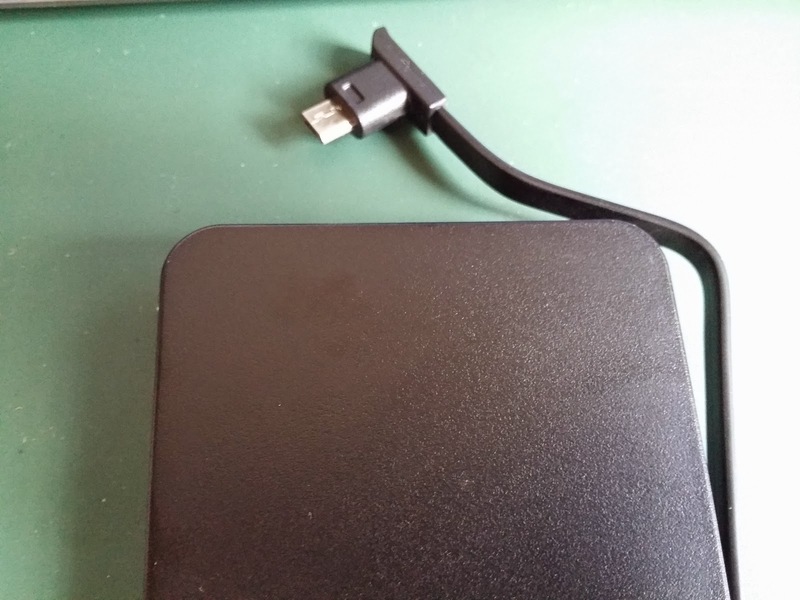 With the attached micro-USB cable. 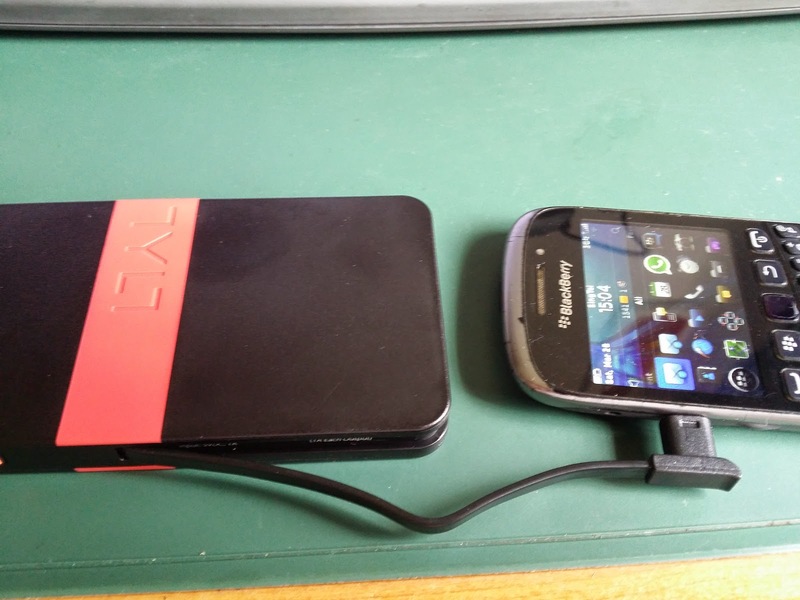 Comparing it against the iPhone 5.
with the micro-USB input next to it. the LED will turn off when it is fully charge. 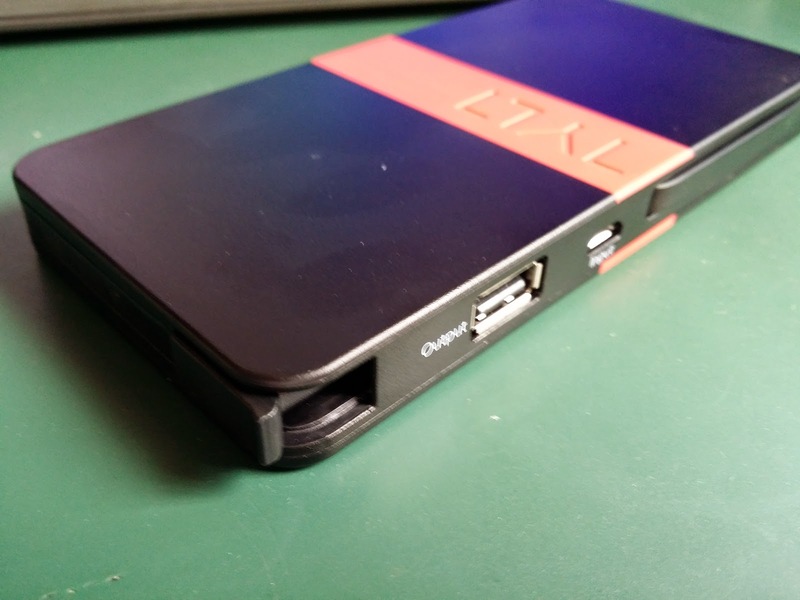 It is a good buy for the ladies, looking for a slim battery pack that is not too heavy. It is fuss-free as the cables are all integrated and it goes neatly into a handbag. Otterbox Defender for Samsung Galaxy Tab 4 8".